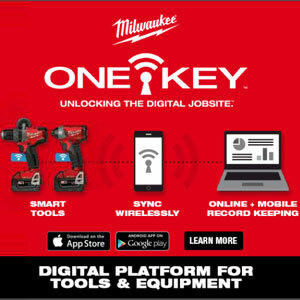 ONE-KEY™, the first digital platform for jobsite tools. By integrating industry-leading tool electronics with a custom-built cloud based program, providing a new level of control and access to information revolutionizing the way work gets done. Fundamentally changing the way users interact with their tools, and help solve user problems and frustrations the industry has never before been able to address. 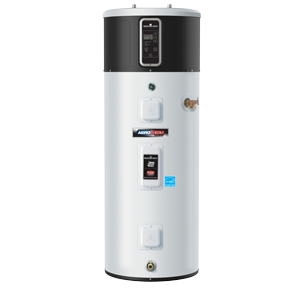 The AeroTherm™ Heat Pump Water Heater from Bradford White offers considerable energy savings compared to standard electric water heaters. The unit offers 3 operating modes: heat pump (only) mode to maximize consumer savings, electric (only) mode for the fastest recovery time, and hybrid mode to deliver efficiency with good performance. AeroTherm™ is the ONLY heat pump water heater that’s made with American labor, and the only one with top connections for easier installation. New Estimating Tool Gives You Instant Access Anywhere! This comprehensive database estimates the time necessary to complete certain installations and service in the plumbing and HVAC industry. The database is aligned with the Harrison Publishing House CINX platform, providing access to an in-depth material pricing format and options to create your own pricing workbook. You can access the cloud-based program from desktops and mobile devices, making it easy to use both in the office and on the road. The PHCC Water Calculator App offers PHCC members a single resource to determine water supply fixture units and minimum fixture branch sizes for common plumbing fixtures, typical pressure drops in water meters, equivalent lengths of fittings. The app also allows a user to input a fixture unit demand, resulting in suggested pipe size, determines GPM demand, pressure drop/100’, and velocity in Type “L” copper pipe; with selectors referenced to the National Standard Plumbing Code, the Uniform Plumbing Code, and the International Plumbing Code. In addition to the calculator, the app serves as an all-in-one membership engagement tool that allows members to directly accesses PHCC information and resources on their portable device. PHCC is now everywhere you are!